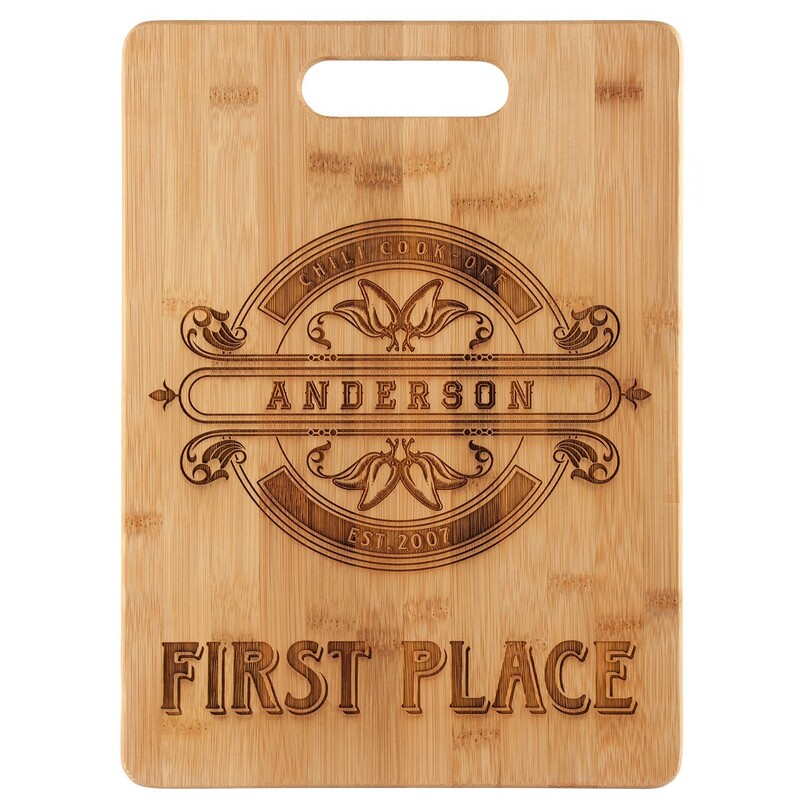 Our Rectangular Bamboo Cutting Board includes engraving in the price! 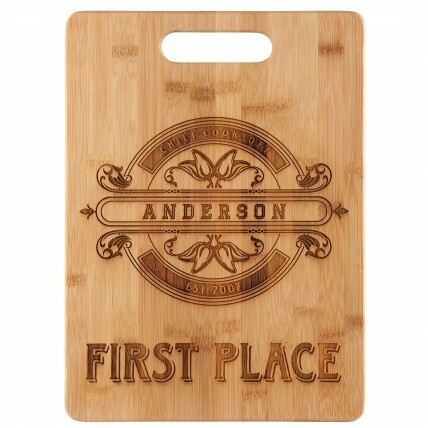 Available in 2 sizes, this eco-friendly board is oil finished with a handle cutout for storage. Reversible, both sides feature rounded corners and beveled edges. Both sizes are 9/16" thick. Hand wash only; not recommended for use in the dishwasher or microwave. Also includes white box for gift giving. 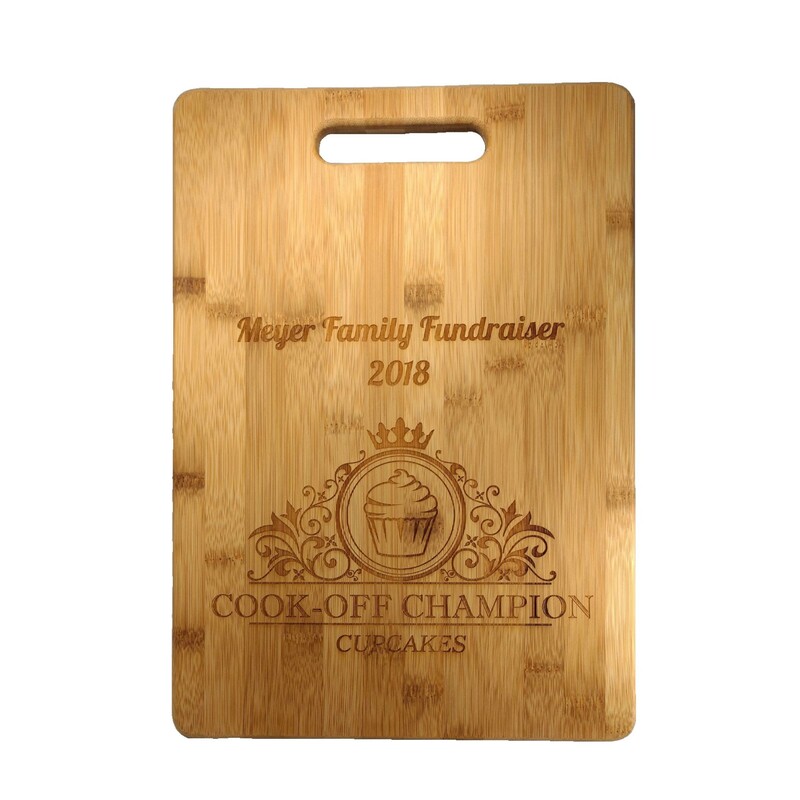 Paired with an edible gift or a grocery store gift card, this engraved bamboo cutting board makes the perfect personalized gift or cooking contest plaque! 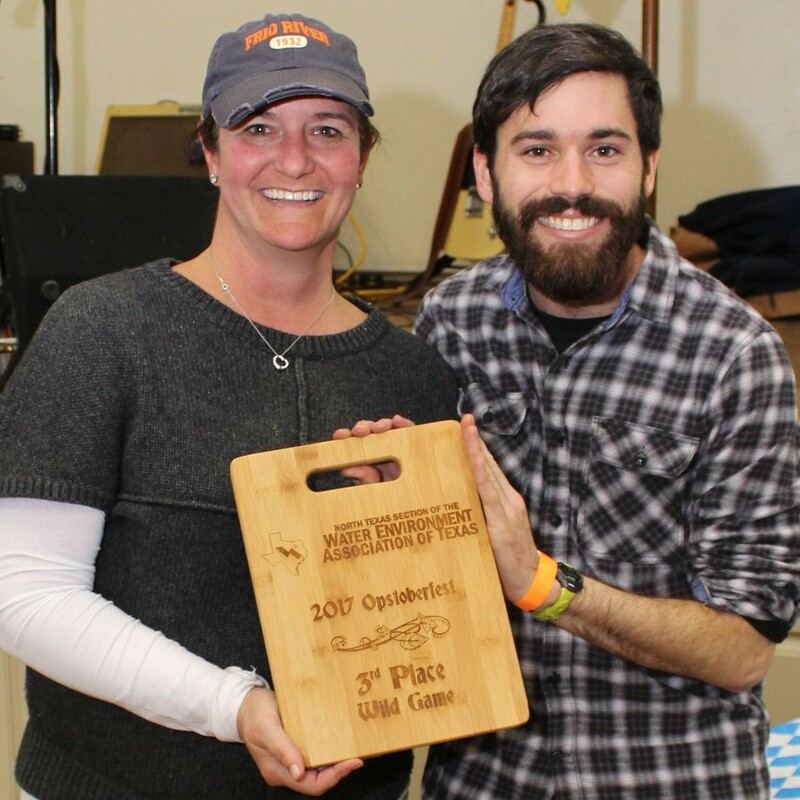 8-1/4" X 9-1/4"; 9-1/2" X 11-1/4"